Following a thorough due-diligence process (doing your homework) is key to establishing a successful sharemilking or contract milking relationship. It is important to have a clear idea of your own situation including your goals and values, financial situation and farming practices and the impact these have on yourself and the other parties' business. When looking to establish a successful sharemilking relationship, an important approach is to view this as a business to business partnership. A robust process that takes into account your personal and financial position, goals and those of the other party, will more likely result in a successful outcomes. This list will help you consider your options, decide whether a role is right for you and start the relationship with a plan for shared success. Download and complete the progressing farmer checklist using the information below to help you answer the checklist questions. Understanding your current situation, your goals and plans, and different operating structures (or options) within the industry allows you to take stock of what you want, and assess opportunities. 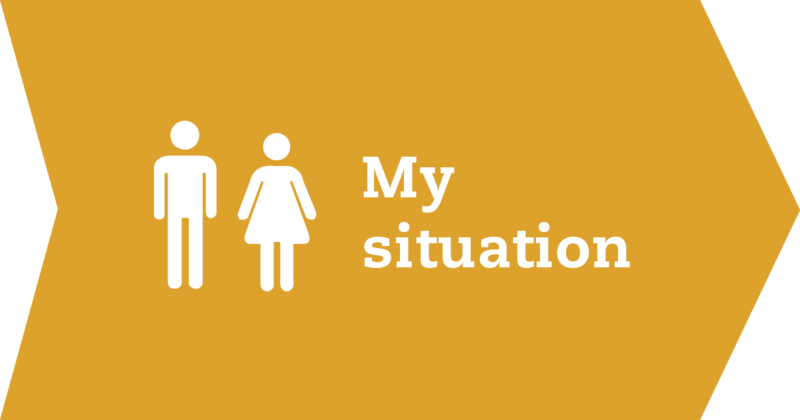 What do I need to know about my situation? There are many progression pathways in dairying and your goals, current financial situation, management style and opportunities on offer will shape what appeals to you. Dairy farm businesses that don’t own or part-own a milking herd. Typically a self-employed person, who provides labour, shed expenses and some equipment (e.g. four wheeler) and in return receives either a percentage of the milk income (e.g. 25%) or a set price per KgMS produced (e.g. $1.20). Typically land, cows, and machinery are supplied by the farm or land owner. Variable order sharemilker/Contract Milker hybrid – paid a set amount per kgMS and a percentage of milk income. Dairy farm businesses that own or part-own a milking herd and share an agreed portion of the milk income and costs with the land owner. The farmer managing the property is paid on a percentage of milk income. E.g. 45%. The herd owner through agreement provides cows, labour, shed costs, animal health and breeding costs, electricity, machinery and generally share feed and fertiliser costs. A farm owner leases their property and infrastructure at an agreed set rate to a farmer. Leases are determined by market rates, location, land value, past production, and infrastructure available. Lease with variable lease rate – set base lease rate, if milk price rises above the base rate then a top-up payment is paid to land owner. An equity partnership is a joint business venture between individuals who have come together to pool their capital and possibly skills to enable the partners to obtain revenue and growth from their farm investment. Equity partnership in Herd Owning Sharemilking business – two or more parties enter a HOSM agreement. Equity partnerships in a farm trading company – two equity partnerships in both the farm trading (milking) company and a land owning company. Equity partnerships in land ownership – two or more parties enter an equity partnership that owns the farmland. Further investigate different structures using in the Farm Business Pathways section of this website or download the Operating Structure Decision Tree to determine which best suits your needs and aspirations. Self-employment can be very rewarding and satisfying but it is also important to remember that with self-employment comes varying degrees of risk and liability. Because of the way the farming season is structured, you will not have an income for several months until you put milk in the vat; don’t forget to factor this into your calculations. Help increase your people and business skills and join a DairyNZ Progression Group. Compliance obligations and how to manage, here. At a series of sharemilking events in 2016, James Allen, AgFirst Waikato, had a few pointers on progressing through the industry and choosing an operating structure, here. Having a clear picture and plan of where you want to end up and the steps needed to fulfil these goals is important. Goal setting is a powerful process for thinking about your ideal future and motivating yourself to turn your vision of this future into reality. Use QuickPlan to build a clear plan for your business and life. QuickPlan provides interactive strategic planning tools for farm owners, sharemilkers and dairy farm employees. A vision is a high level statement that describes what you would like your life to be like and the principles or values you want to live by. What type of person you want to be. For example, “We want to increase the size and profitability of our farm business to achieve financial freedom” or “It is important to us to create a balanced and positive home life for our family”. One of the common characteristics we see amongst successful people and businesses - in addition to a strong clarity of vision, are the values and guiding principles they apply to help make decisions in all areas of life. These are the principles they live by. For example, “treat others as you would want to be treated yourself.” The values you live by are the things that are important to you, the essence of what you believe in, for example honesty, reputation, helping others or creativity. Your values and vision help you determine and prioritise different focus areas in your life e.g. family, business, leisure etc. Take time to clarify what is important to you and the vision you have for the future. This will help you weigh up different options and also help you figure out whether another business party is the right fit for you. Do you know your current financial position? Whether you are starting out in business or making a change to your current operating structure, it is good to have a current balance sheet, budget and to have spoken with your banker and accountant. Putting together a balance sheet will detail what is owned (assets), what is owed (liabilities), and your current equity position (assets minus liabilities) at a given point of time. Use the balance sheet to determine if you have the equity for the operating structure you are considering. You will need to decide how you are planning to set up your business (partnership/sole trader/company) and get set up for paying tax/acc and GST. If money is coming from family members, have you got a formal process in place regarding interest rates and repayments? It is also important to have a good handle on your personal spending. Developing a personal cash budget helps you know where your personal income and expenditure is going (e.g. where you are spending your income e.g. groceries, electricity, travelling, socialising etc). Having a good handle on your personal drawings from the business is an important part of making good decisions about the suitability and potential profitability of a role you are considering. Whether you need to understand your current financial position, plan how to buy your first herd, assess a VOSM role or develop a budget DairyNZ have a range of tools to help. How do I work out what variable order or contract rate to settle on? If the amount of money you will make from the offer does not equal or exceed the factors covered above, you may need to negotiate with the farm owner. If you are negotiating, approaching the farm owner in a clear manner with numbers you can back up - such as a budget, a new rate, or a proposed reduction in expenses, shows you have logically worked through the offer and are proposing something reasonable. It may be a starting point for negotiations so be prepared to work through the agreement coming to a fair deal for both parties. When developing a budget, it can be difficult deciding what milk price to use. James Allen from AgFirst Waikato talks about milk price budgeting for sharemilkers and gives some tips here. Have you sat down and thought about the things so important that you would not think about looking at a job if it didn’t meet these criteria? You may want to stay within travelling distance of family and friends. Often your non-negotiables will line up closely with your values and guiding principles. When we are faced with opportunities, we need to think strategically about the various options open to us then weigh up the pros and cons before selecting our pathway. The Decision Making Matrix helps you compare options of either a personal or business nature. It provides a structure for evaluating options against key criteria. Do you know your strengths and weaknesses in terms of skills and knowledge and how this might impact on your ability to take on different roles? Are there any areas you could improve in or not had experience in? Herd records – Fulfilling NAIT requirements, recording calving, animal health, etc. By identifying any potential gaps in your skill base, you can remedy them before they become a problem by attending training, talking to vets and other rural professionals or talking to other farmers who have strengths in the required area. Carrying out a ‘self-assessment’ on various areas of your own life, both business and personal will help you to identify your strengths and weaknesses by highlighting areas that need attention compared with those that are okay or on-track. A SWOT analysis identifies our Strengths, Weaknesses, Opportunities and Threats. You can do a SWOT on yourself, your business, your industry, your country, etc. Focus on internal factors to define strengths and weaknesses and look outside your current lifestyle or business for opportunities and threats. Identifying these factors will enable you to build on your strengths, take advantage of opportunities, manage/support or avoid your weaknesses, and steer away from threats when you are identifying the best strategies to achieve your vision. There are many people in the industry that can help you. If you surround yourself with a core of knowledgeable people, this can be helpful and save you costly mistakes. An advisor can provide an experienced, unbiased perspective to help you understand, and plan, how to get to where you want your business to go. Connect you with their networks. For trusted advice, you may have a farm consultant, rural accountant, mentor, rural banker, or friend. The most important is you know this person is successful in their farming business, that you trust them, or you know of someone else who has used their services and are happy with the outcome. When you think about the amount of money involved in going into business, setting aside a sum for good advice is a sound investment. 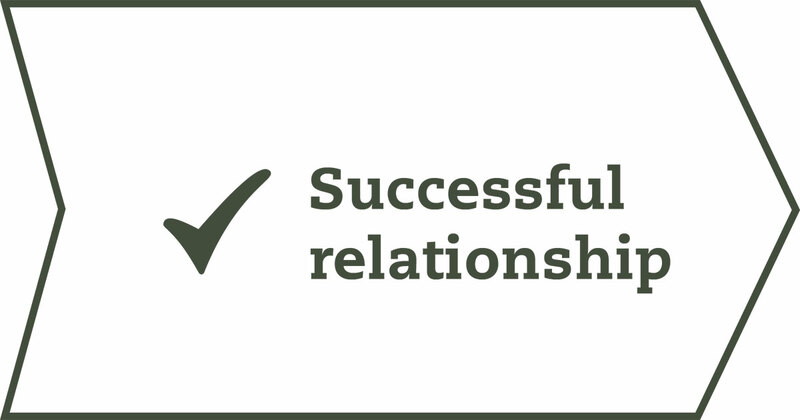 If you haven’t already got a relationship with a banker and accountant it is important that you do so. Both professionals should be part of your trusted adviser network. Finding a good chartered accountant who specialises in rural business is hugely beneficial. If you are new to an area, ask around for a recommendation (talk to other farmers, rural professionals and banks) then arrange a meeting with them. Shop around until you find someone you think will be able to meet the needs of your business and someone you feel will be able to provide the right support and advice. It is important to approach a number of banks when you are looking to take out a loan as each bank has different lending criteria, you want to make the best decision you can. Top performing farmers seek advice and ask for help. Who do you have 'in your corner’ supporting you to be successful? Are you getting the assistance you need? If you don’t know who is best to help, ask another farmer you trust who they would use. Finding that your goals and values are well-aligned will help improve your chances of success and longevity of the business relationship. 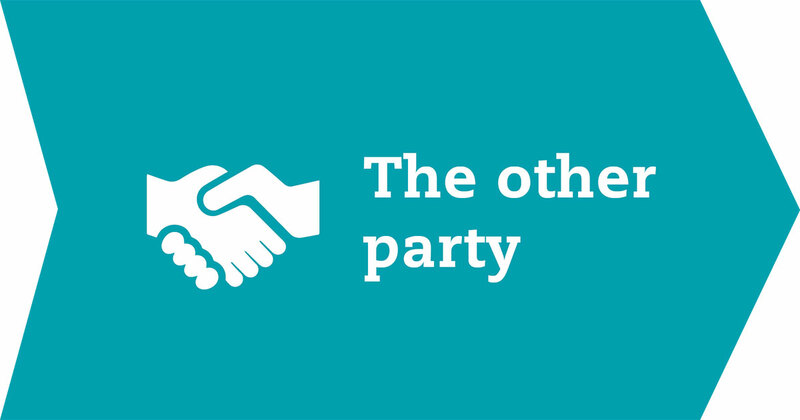 What do I need to know about the other party? Either by asking for references or asking people who know the farm owners, you can get a better feel if they are going to be a good fit with you. Asking the right questions can help you gain a feel for how they operate. Sometimes what people don’t say about a person can tell you just as much as what they do say. A successful farming operation benefits both parties, talking with others who have previously farmed the property will help you do the best job on the farm. As a sharemilker or contract milker, try and meet with the farm's current sharemilkers to find out how to get the best out of the farm and learn more about working with the farm owners. This interviewing people resource is designed for employers selecting someone for a salaried position, the principals of interviewing however, are the same regardless of whether you are the prospective sharemilker or the farm owner. Ask lots of questions about the farm and farm systems and what the farm owners' beliefs and values are. What motivates them, what do they strive for and how does that fit with you? For example, if their main driver is production and yours is profit, then this could cause some friction if you want to dry off towards the end of the season to preserve cow condition and they want you to keep milking as long as possible. There will always be differences between parties, the important thing is to be aware of them and the impact they may have on your business and relationship. Profitability is key to achieving your goals - be they family, progression or other business goals. Ask yourself, is this move looking profitable and will it enable me to take the next step? Do the numbers stack up? Consider your overall goals and how this partnership would help you meet them. Run a budget to ensure the offer or opportunity is a viable one for you, and be sure to look at different scenarios such as milk prices changes, production or farm working changes; these will impact the cash surplus or deficit and therefore your longer term plans. Is there a possibility the role will change over time, e.g. start as a contract milker but might end up variable order or herd owning sharemilking? In sharemilking relationships most problems are caused by people having differing points of view and not communicating effectively. If you are going to be working together it is important there is mutual respect and a willingness to cooperate for the good of the business – under these conditions, it is likely you will be supportive of each other. Conversely, if you have a widely differing set of values and beliefs this will make it more difficult. During the process of meeting with a prospective farm owner you will have spoken over the phone, met in person, and spoken to referees. Take some time to mull over how you think interactions will be with this person if you are in an ongoing business relationship. Taking a close look at the farm business allows you to think about aspects that impact on time, costs and also the fit with your goals and aspirations. This can be done by talking with the farm owner while you are looking around the farm, or talking with past sharemilkers or employees. What do I need to know about the farm business? A farm policy outlines how things are done on a particular farm. It should give you a good insight into whether this fits with your expectations and can be used as a basis for discussion. To fully assess the business opportunity, it is not enough simply to have a general view of farm management policies, you need to drill down and get some facts and figures and find out what being part of this business means in terms of dollars and time. Communication with the farm owner starts now. You will be able to gauge how open they will be to discussing things with you through the partnership by how open they are with some of this information. What area and what type of cropping and regrassing needs to be done each year? Is there a contingency plan for adverse weather conditions? What happens if due to climactic conditions an area of the farm needs to be re-sown, how will the cost be split? How are the feed costs to be split? What type and quantity of feed is expected to be bought in? What have you done in previous years? How much area needs to be shut up for feed grown on farm? When talking about how the farm runs, try to confirm targets such as production and costs are current and realistic. The closer these estimates are to reality, the easier it will be to carefully plan and assess the opportunity viability. Politely ask to see any available milk dockets, electricity accounts, feed bills, DairyBase benchmarks (not drawings or debt) and any other examples of what things have been like so you can base your budgets on actual figures. It is also helpful to pose the questions in a way which seeks to assess how realistic the targets and figures are. Try things like, “Has anything changed in the setup of the farm since these targets were reached (or set) such as have you added or removed any land area/lease block, have cow numbers changed, or was there any change in bought-in feed?”. When you are looking around the farm take note of things like the state of the fencing, the kind of effluent system in use, irrigation and troughs. These observations will help you get a feel for how well you will fit in on the farm and how the farm infrastructure will help or hinder you achieving your goals and targets. How many days’ storage does the effluent system hold? How is the effluent captured and stored on the feed pad/housing and how often does it need to be cleaned out? Is water available to all troughs? How long it takes to shift irrigators? 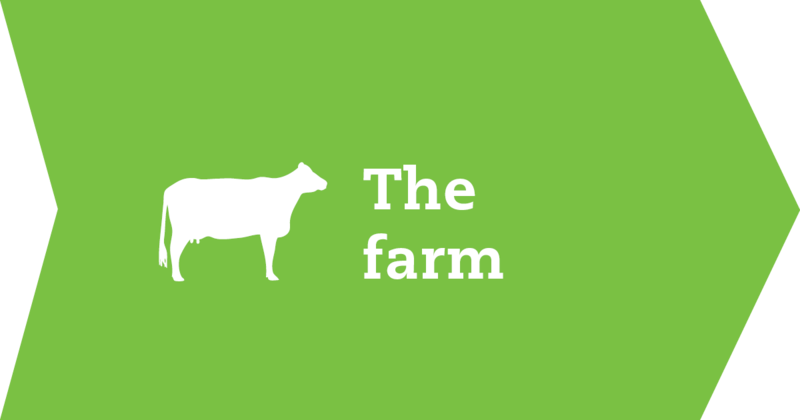 Does the infrastructure of the farm work with the number of cows? Getting a good feel for these things will help you build a better picture of expenses for budgeting. If the job is in a different region to where you are currently or have experience farming, find out as much as you can about any management or climactic differences particular to that region. DairyNZ have demonstration farms, partner farms here, and work across all regions. If you don’t know a lot about a region, see if there is a demonstration farm you could visit in the area or contact a local Consulting Officer to find out more about farming practices in the region. Is there any particular weed or animal health problems in the area that I need to be aware of e.g. bristle grass? Are there regular climatic events such as high or low rainfall, snow and wind? When do people normally start calving around here? Be fully informed and seek advice before signing contracts or agreements. Once you have found out all the relevant information about a particular opportunity, now is the time to revisit and update your original budget with any necessary changes to give the most realistic picture. Consider taking the budget when meeting with the farm owner, it may be helpful as you discuss agreement clauses to back up your assumptions with some figures as you negotiate. Taking the budget shows you have given thought to the running of the farm and promotes open communication for the new partnership. An annual budget will give you a picture of the viability of the business for one season, it is a snapshot of the potential opportunity you are considering. DairyNZ templates include a sensitivity analysis which shows you the range of cash surplus or deficits possible when circumstances change – for instance, an increase or decrease in payout, changes to production, or a change in your farm working expenses. If you are considering a variable order sharemilking position there is a calculator to help you work out income and expenditure in the first season. Run your budget past your accountant, banker, a trusted friend with experience in farming or think about finding a farmer mentor through the Dairy Connect service. Contracts and agreements are updated on a regular basis to reflect changes in case law, common areas where disputes arise or changes to legislation. Having the latest version of an agreement or contract means both parties can be sure the contract you signed contains the most up-to-date information and draws out common areas of dispute for discussion. If you are a Federated Farmers member, the agreements and contracts come with access to legal advice. Through membership, you gain support from other farmers who are willing to share their expertise and experience. When going through the contract it is critical you are very clear about what you are responsible for and under what circumstances. Each party knowing their obligations and responsibilities will enable the agreement to run as smoothly as possible. It is not enough to just say you will perform a job or pay for a certain item, you need to know to what level and at what point that might change. Once again, if you are not sure, talk it over with trusted advisers. Even though contracts are relatively standard, each farming business is unique. Both parties need to spend a significant amount of time going through the clauses, negotiating and agreeing on how it will work on this particular farm. It is good practice to sit down together and work through the agreement, discussing how various clauses affect the farm and costs for each party. Some farmers bring in a third party to independently work through the agreement discussing sections in terms of cost or effect on each side. This person could be known in your area as being knowledgeable about contracts or you could choose to split the cost of a farm consultant with expertise in contracts. 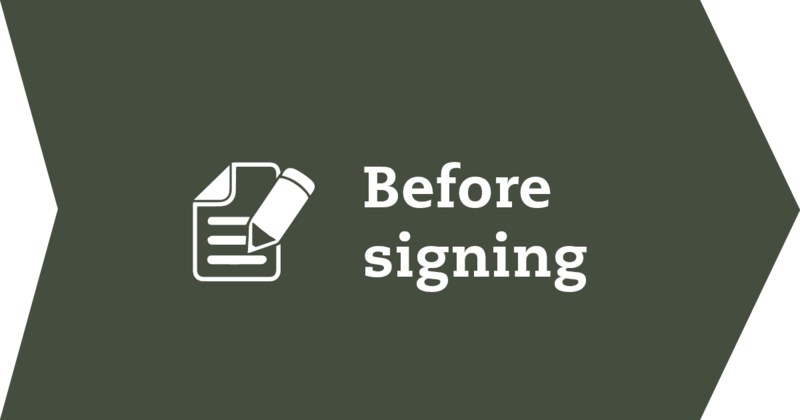 After meeting and agreeing these clauses, it is recommended practice to take time to deliberate and seek advice before signing the agreement. If everyone has a clear understanding of what they have agreed to, there is less room for misunderstanding. James Allen, AgFirst Waikato, has these four tips for negotiating here. It is important to go through a contract thoroughly before you sign it. Ideally, you will have familiarised yourself with some contracts before you are in a position to sign one. Ask friends if you can look at theirs or ask your farm adviser if they have one you can look at. Don’t feel pressured to sign a contract straight away. You need to take it away and go through the clauses one by one. If you are not familiar with contracts, get someone you trust such as a farm adviser to go through it with you. A thriving relationship between two parties is likely to be one where goals and values have been shared and are fairly well aligned. Communication between the parties and a clear understanding of responsibilities in the agreement is also vital. Communication is the biggest factor in the success of any relationship. Are you comfortable talking to the farm owner about issues on farm? Sometimes the best way is to have regular meetings on a reasonably official basis, these allow for scheduled and structured conversations to occur on the key topics you need to keep each other up to date about. It can help to have a set agenda for these meetings and if suitable, put together a farm report that can be discussed. By communicating in this way any problems can be identified early and both parties are well informed. If you are using Federated Farmers agreements, you will find a template for Monthly Management Reports at the back of the agreement. Sometimes, it can be quite intimidating to ask for help or to negotiate so it may help to have a third party involved in discussions. A resource to help farmers resolve problems has been developed for heifer grazing situations, but the principles apply to negotiating and managing issues in sharemilking. Tony Wilding from Federated Farmers talks about how to build trust here. To give both parties certainty, it is beneficial to sit down and come up with a shared plan for how the business is going to operate over the season. Cost structure of the farm, for example is it $3.00/K gMS? Or are the costs over $4.00 with a higher input system? How will any change be communicated between the parties? What crops, when and how many hectares. By coming up with a plan it enables both parties to have some certainty and confidence in each other and the business. A shared business plan may be developed in the autumn, after signing an agreement, when there is time to sit down together and work through a plan which covers the term of your contract (reviewed annually). The plan sits alongside your contract. Think of the contract or agreement as the “rules” for the two businesses working together, and the shared business plan as providing the direction. Download the progressing farmer checklist here.